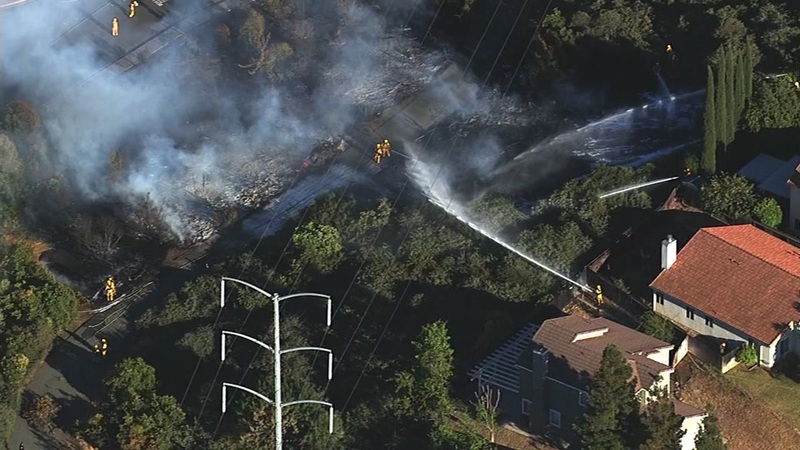 ANTIOCH, Calif. (KGO) -- Crews with the Contra Costa Fire Protection District are battling a 3-alarm fire in Antioch that's burning a structure and surrounding vegetation. The fire started at 6:07 p.m. on Indian Hill Drive. There was no word on if there were any injuries or what sparked the fire.